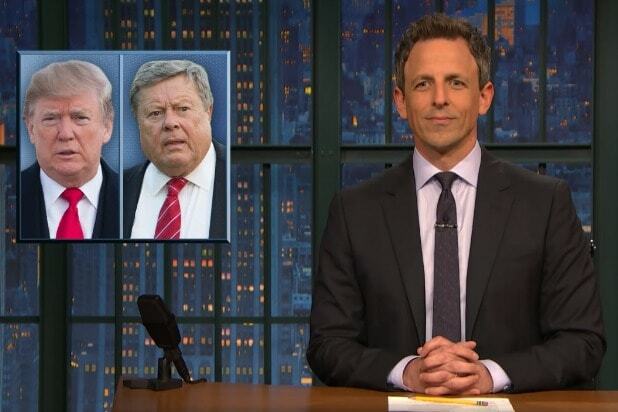 Seth Meyers may have skipped doing “A Closer Look” or “The Check In” on “Late Night” on Tuesday, but of course that doesn’t mean he avoided politics. 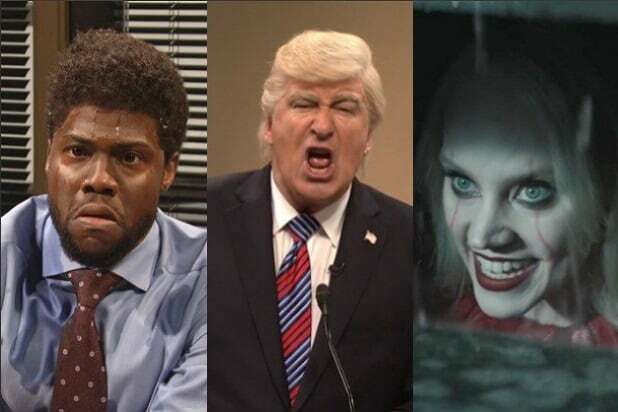 In fact, his quick-hitting opening monologue covered all of the weirdness of the day in the Trump administration, starting with Trump’s decision to pull out of the Iran nuclear deal that had pretty much everybody on all sides of the political spectrum and from all corners of the globe pretty peeved. “President Trump today officially announced the U.S. would pull out of the Iran nuclear deal. I have to say I’m kind of surprised. Usually when Trump doesn’t like a deal he just stays in it and violates all the terms,” Meyers joked to begin the monologue, displaying first a picture of Donald Trump with Melania, followed by that now-famous picture of Trump with Stormy Daniels to punctuate the sentence. From there, Meyers’ monologue was a fast and furious rundown of the news of the day. Here’s his joke about Trump being unable to make it very far into a practice session intended to prepare him for giving testimony to Robert Mueller. And here’s Meyers on a new report that Trump is pretty unhappy about the general Rudy Giuliani situation at the moment. And here’s Meyers on reports that Melania actually lives with her parents and not in the White House. Then Meyers displayed a side-by-side shot of Donald Trump and Melania’s dad and, yeah, just look. You can watch all of Meyers’ monologue from Tuesday’s episode of “Late Night” in the video embedded at the top of this post.